In the fall of 2015, Whirlpool launched a pilot program in Fairfield, Calif., and St. Louis that put a whole new spin on the concept of wearables. We’re not talking about internet-connected garments. Rather, the technology powering “Care Counts” consisted of conventional washing machines and dryers, donated by the client to initially 17 schools. The goal: provide students with clean clothes in order to boost their confidence, reduce truancy, and increase kids’ desire to connect with their peers and teachers in classrooms every day. By the end of the academic year—and 2,000 loads of laundry later—attendance showed a marked improvement, with more than 90 percent of the pilot program’s participating kids spending about six more days in class compared to 2014-15. Their grades improved, too, as did peer interactions and involvement in extracurricular programs. Last fall, the initiative expanded into schools across Baltimore; Benton Harbor, Mich.; Charlotte, N.C.; and Nashville, Tenn. Launches for 2017 include Atlanta, Chicago, Los Angeles and New Orleans. “Care Counts” cleaned up at Cannes, scoring a Grand Prix in Creative Data and a gold Lion in PR Data & Measurement Research. It also earned trophies at The One Show, D&AD and Effies. 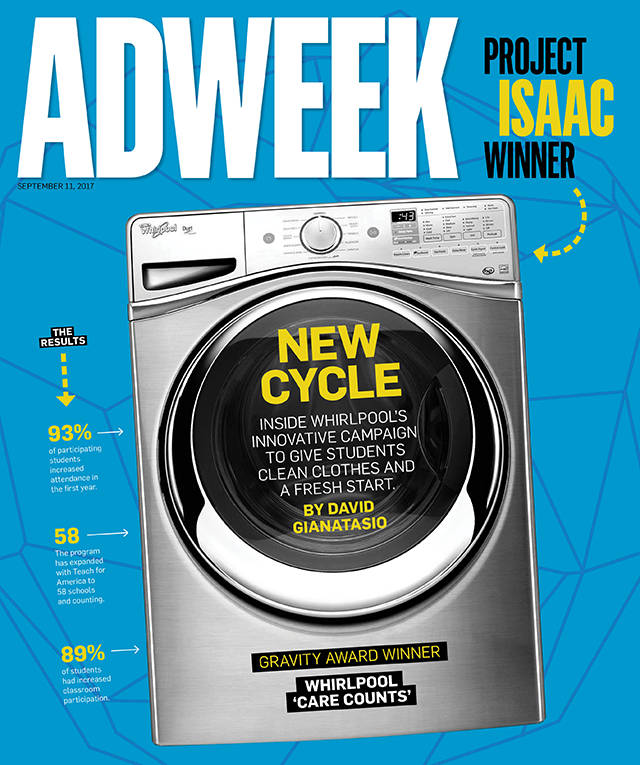 Now, the initiative wins Isaac Awards for Research Invention and Data Invention, both in the Best Practices category, along with the Gravity Award, Adweek’s top honor for creative innovation. From an image-building standpoint, the program tallied almost 340 million earned media impressions and more than 12 million video views across Facebook and YouTube. All this attention yielded a nearly 220 percent increase in social sentiment and a palpable lift in purchase intent. In a broader sense, the campaign and its attendant media coverage highlight “a social issue that more privileged parents might be completely unaware of,” says Tom Megginson, an industry blogger for Osocio and creative director at social-issues agency Acart Communications. This will hopefully drive public and private support beyond the program itself, he says. 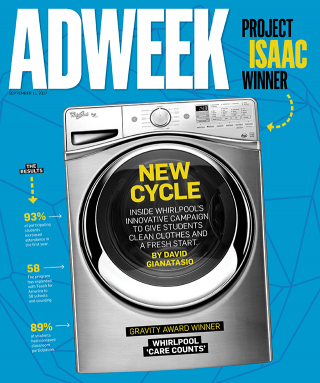 Check all of Adweek’s 2017 Project Isaac winners.